This is a round Old Joe’s Steam Beer porcelain sign. This particular Old Joe’s Steam Beer sign is predominantly white with red and black text. 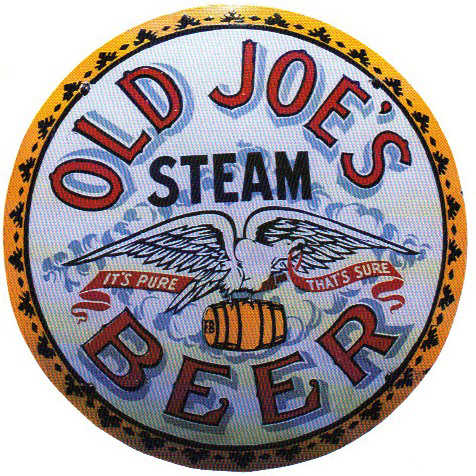 It reads, “Old Joe’s Steam Beer, It’s Pure, That’s Sure” and features a white eagle carrying a brown barrel in the center.